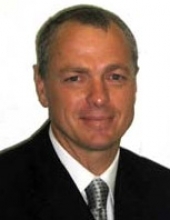 Deon Basson has been involved in negotiation and selling for 19 years, specialising in Corporate IT Solutions. Operating primarily in Europe and Africa, he has a particular understanding of sales and negotiation in cross cultural contexts. Deon holds a B.Sc Honours (Information Technology) and an MBA specialising in Business and Technology alignment. He is currently completing a PhD focussing on the role of technology in understanding people. In addition to his strong systems background, Deon advises clients on the importance of the Human Element in any sale or negotiation. He assists his clients in better understanding the roles their teams, clients, partners and suppliers teams play - at and away from the negotiation table. Personality and thinking preference profiles are regularly used, to share a perspective on negotiators' and teams' unseen habits. Experience in Strategic Client Management and Customer Relationship Management (CRM), have fuelled and informed Deon's focus on the human element. Deon's consultancy expertise is sought in collaborating with clients in creating a corporate negotiation capability. This usually starts with creating or redesigning a sales or negotiation strategy. Deon frequently speaks at seminars, where he draws interesting parallels between the human element, strategy and technology in business negotiations.